Lacrosse, is a sport of Native American origin and one of the oldest team sports in the Americas Some believe it may have developed as early as the 12th Century. In the traditional Native American version of the game, each team consisted of anywhere from a hundred to a thousand men on a field that stretched from about 500 yards to a couple of miles long. These lacrosse games lasted from sunup to sundown for two to three days straight. The French Jesuit missionary, Jean de Brébeuf, saw Iroquois tribesmen play lacrosse in 1637 and was the first European to write about the game. Some say the name originated from the French term for field hockey, le jeu de la crosse. Others suggest that it was named after the crosier, a staff carried by bishops. Today, lacrosse is one of the fastest growing sports in the United States. Youth participation, always a key barometer, is off the charts, and the sport has gained a strong following at the high school and collegiate level. My nephew, JJ Lian, plays lacrosse at the University of Pennsylvania, where he is one of the captains. J is a senior and a team player; earlier this year he agreed to help out on defense, sacrificing his considerable scoring prowess for the good of the team. That move helped the Quakers win four of their last six games after a 1-6 start. 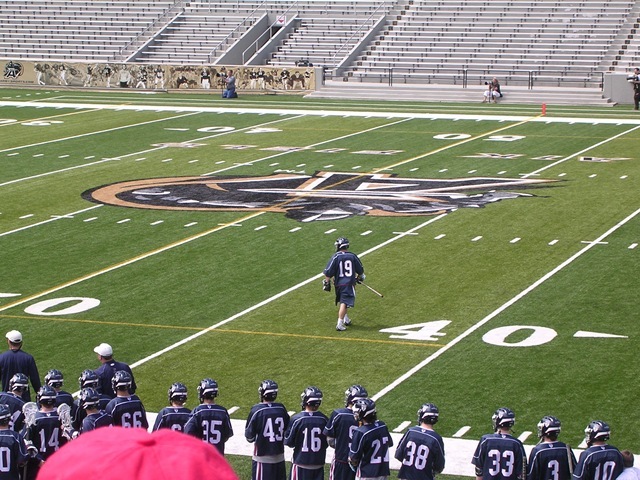 On the hallowed turf of Michie Stadium this weekend, the Penn Quakers held off the Army Cadets, 11-10, in the final game of the season for both teams. It was a riveting contest. Penn never trailed, but Army battled constantly to try and get the equalizer. The game ended with a mad scramble in front of the Quaker goal. Michie Stadium, which opened in 1924, is a fabled football field. Only 15 Division I-A stadiums, and just six located east of the Mississippi River, are older than Michie Stadium. 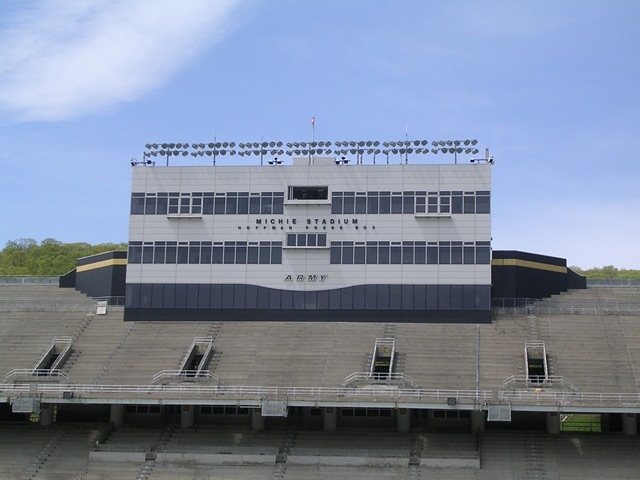 Throughout the years, Michie Stadium has hosted Army national championship teams and three Heisman Trophy winners: Doc Blanchard in 1944, Glenn Davis in 1945 and Pete Dawkins in 1958. 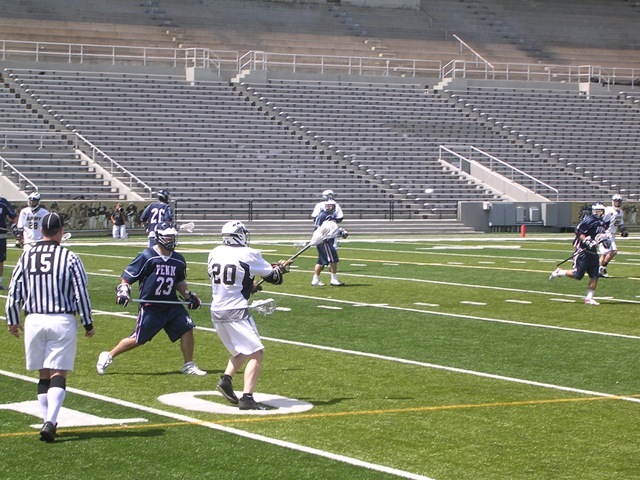 And Army also fielded some powerful lacrosse teams during that period. At halftime of the Penn game, eight members of Army’s 1959 national championship team were honored as the USMA Class of 1959 was celebrating its 50th reunion at West Point. Overall, the Cadets won eight national lacrosse champions before the NCAA began its post-season playoff format in 1971. Penn’s home stadium, Franklin Field in Philadelphia is also a famous venues in collegiate sports. The NCAA considers it the oldest stadium still operating for football. Franklin Field it was dedicated in 1895 for the first running of the Penn Relays. In late December of 1960, the Philadelphia Eagles won their last NFL championship at Franklin Field, handing Green Bay’s Vince Lombardi his only playoff loss. My nephew played both lacrosse and football in high school. Several years ago, playing against the school my children attended, J burst through the line for a 65-yard touchdown run. I jumped up and yelled and cheered, and received more than a few nasty looks, especially from the parents in the home team section.